....a radar satellite on Monday morning, the Japan Aerospace Exploration Agency (JAXA) said. According to the agency, the rocket was launched at 10:21 local time (0121 GMT) from Tanegashima Space Center in the southwestern Kagoshima Prefecture. The radar satellite launch was believed to be an attempt by the Japanese government to hone its intelligence-gathering capabilities. It will also play a role in collecting data on natural disasters. 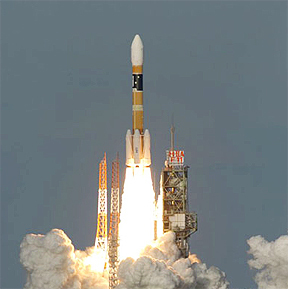 The launch was initially scheduled for Sunday but had to be postponed until Monday, due to bad weather, the JAXA said.